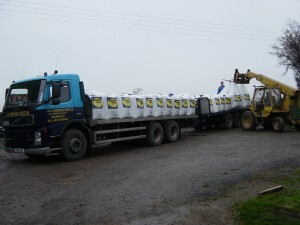 We offer a range of fertilisers, including nitrogen and N, P, K blends. Most grades of nitrogen are available, including imported nitrogen (Lithuanian & Polish) and nitram. Our most popular blends are 20:10:10, 25:5:5 and 20:8:12. For after-cut, our preferred options are 24:0:15 and 24:0:14 + 7% sulphur. We can supply specific grades based on your requirements highlighted by soil analysis or crop deficiencies on your farm. We can help farmers to make sure they are using the right product, at the correct level. Our approach ensures fertiliser is used efficiently and cost effectively.